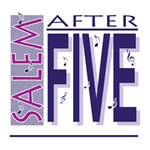 Salem After Five is back this week! Domino takes to the stage as we raise money to benefit ACT Packs (SAEM)/Community Christmas Store. Only $5! Register to receive alerts from our Instant Info Citizens Alert system for important emergency alerts, notifications and updates on your devices – Free of charge. Salem's Love sign is always on the move! Where will it end up next? Find out more about the Commonwealth's only mobile Love sign. 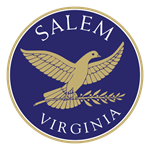 The City of Salem is now offering the ability to pay online. It's easy, fast and free. 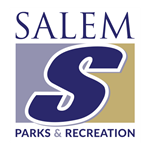 The park is located on Indiana Street beside the Salem Animal Shelter. It is open daily from 6am – 10pm and there are both large and small dog sections. Founded in 1937, the Salem Public Library is dedicated to providing exceptional services for all ages, backgrounds, and needs. Virginia 811 is the “one call” Virginia communications center to keep you, your friends and neighbors safe by helping you avoid buried power, gas, communications and water lines. By working together we can build on our wonderful Downtown and ensure that it has a bright future as the center of our community. Come listen to live music and dance the night away! Bring a chair and blanket while enjoying food from local vendors at our Food Court. 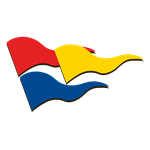 There are plenty of activities for children, as well. Jeans n' Classics brings a fun twist to Salem as the Roanoke Symphony Orchestra rocks out to the iconic sounds of Fleetwood Mac! 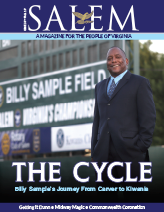 Tickets can be purchased at the Salem Civic Center Box Office (Monday - Friday: 10 am - 6 pm, and Saturday: 10 am - 2 pm) and at TICKETMASTER. The annual Fishing Rodeo tradition has been a huge community highlight and children have come to expect it each year! Children between the ages of 3-8 are welcomed and encouraged to visit Lake Spring Park on Main St. and fish for beautiful trout, keeping up to six. Families must provide fishing equipment for their child(ren). Prizes will be given out throughout the day and trophies will be given for the best fisher. The annual Fishing Rodeo tradition has been a huge community event, and children and adults alike have come to expect it each year! Children between the ages of 9-12 are welcomed and encouraged to visit Lake Spring Park on Main St. and fish for beautiful trout, keeping up to six. Families must provide fishing equipment for their child(ren). Prizes will be given out throughout the day and trophies will be given for the best fisher.